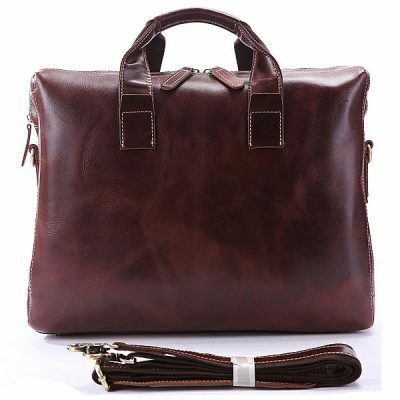 Vintage leather laptop bag, black leather laptop bag and brown leather laptop bag for sale, all these genuine full grain leather laptop bags are free shipping. 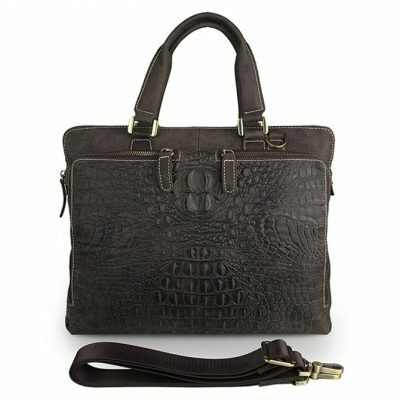 We only offer high-quality and high-end handmade leather laptop bags to our customers. 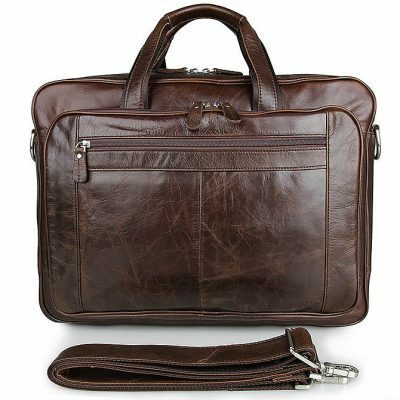 Leather laptop bags not only protect your laptop against shocks and scratches but also perfect for those who want to add something classy to their professional appearance. Leather laptop bags are the most elegant way to carry your laptop. The leather is a durable and flexible material which lasts for ages. 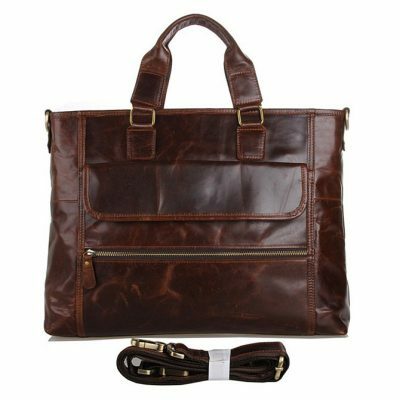 Therefore, leather laptop bags are suitable for those who carry their laptop daily to the office, meetings, school or other occasions. 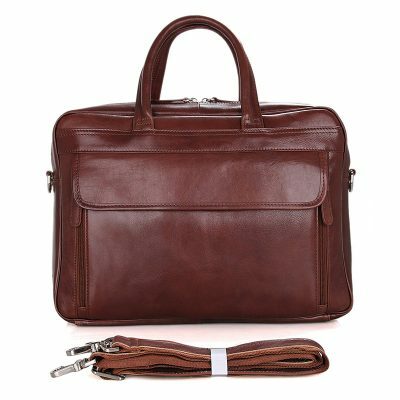 Whether for business trips or traveling between work and school or home, Leather laptop bag provides a safe and convenient way to transport a computer. Leather laptop bag also allows the user keep track of additional accessories, such as a headset, wireless mouse, charger, disks and extra battery, thanks to multiple interior and exterior compartments. Divided sections keep reference materials, like files and notepads, in order and within easy reach. Not only do they shield expensive equipment from inclement weather conditions, but they also provide a padded cushion against abrasion during rough journeys. Although there are various sizes and styles, most have an adjustable shoulder strap and clutch handles. Some other models provide wheels and a retractable handle, for extra heavy loads or long walks through an airport terminal. 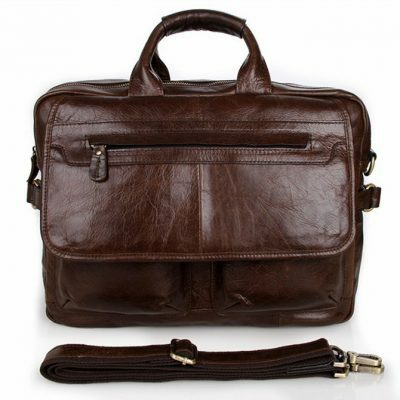 We can guarantee that our leather laptop bags will provide you with the quality and craftsmanship you expect. Striking the right balance of style and professionalism is the goal, but not all bags are equipped to do both. Certain colors, patterns, and shapes are too casual to get away with when you’re in a suit and tie. Similarly, some structured leather options might feel too formal at companies with business casual dress codes. 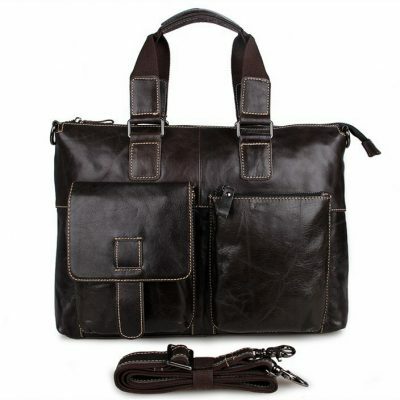 The three most common colors on leather laptop bags for men are black, brown, and tan. Dark brown and black are best suited for a professional environment — they project a sense of power and authority. Tan and lighter colors are better suited for casual purposes where the working atmosphere is relaxed and informal. Laptop bags that have more than two different colors on the outside or a contrast colored stitching can be perceived as flamboyant. Avoid these unless your occupation permits such a stereotype. Selecting a leather laptop bag is equivalent as wardrobe shopping. 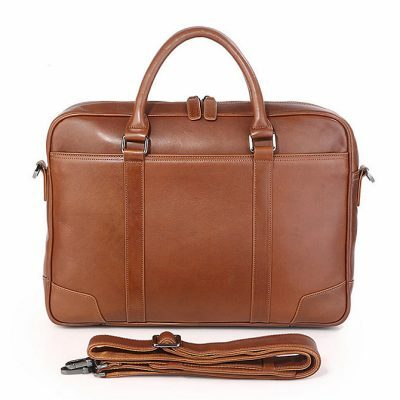 Our leather material is from Argentina and Italy; leather dyes, surface treatment, and threads are from Germany and Japan; hardware is from American and Taiwan; the whole leather laptop bag is handmade in Hong Kong. Our classic, elegant, noble leather laptop bags in a range of silhouettes, colors, and prices — to stow away your precious cargo without losing face at the office. Style: From leather laptop sleeves to leather briefcases to leather backpacks, you’ve got a lot of bag styles to choose from. Each has advantages and presents a different image. 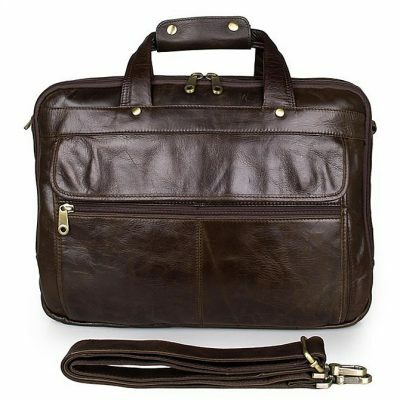 Here’s a brief overview of leather briefcase-style laptop bags: Leather briefcase laptop bags are designed for carrying on one shoulder or by the handles, although you could use some shoulder bags in cross-body fashion. These bags tend to be lightweight and compact and can be very professional and traditional or distinctive. 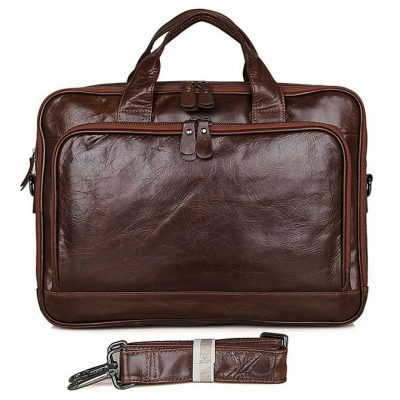 Leather briefcases bags offer more organization features than just a leather laptop sleeve. Look for padded handles or straps, compartments on the outside or inside for your small items, and room for your papers. Our leather laptop bag is basically the leather briefcase-style laptop bags. Material: A buyer should consider the leather quality of a laptop bag before investing. Finding a genuine leather laptop bag can be a tough job to do. Laptop bags usually used Neoprene rubber, PU leather, Patent leather, and many more. 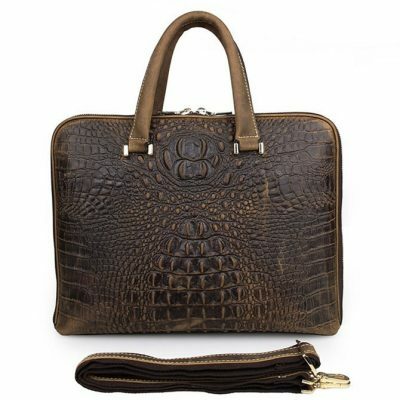 But high-end leather laptop bags are often made from full-grain leather. Full-grain leather refers to hides that have not been sanded, buffed, or snuffed to remove imperfections on the surface of the hide. The grain remains to allow the fiber strength and durability. The grain also has breathability, resulting in less moisture from prolonged contact. Storage Space: Except for leather laptop sleeves, most leather laptop bags have room to store other things, along with the laptop itself. Some may only have room for the laptop’s accessories, such as the AC adapter and a mouse. However, for users who intend to carry the leather laptop bag as their primary bag to and from work, for instance, it should have additional real estate to hold paperwork, pens, or other work-related items. If the bag will be used for travel, it can also be a smart idea to choose a bag that has room for a change of clothes, in the event that checked luggage is lost. Finally, some leather laptop bags now include a small waterproof pocket so commuters can carry a bottle of water while traveling without fear of leaking or spilling onto the laptop, which is a nice feature for some people. 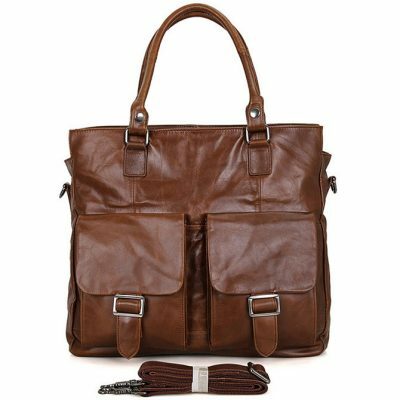 Leather laptop bags are the newly fangled type of amazing and fashionable carriers that offer people maximum convenience in their daily life. They don’t puncture or even tear. They also do repel excess moisture to assure that the laptop inside the bag is safe against moisture wreckage contamination. They also protect laptops from wind, heat, and cold. These bags are also considered to be on top of the lists of those who wanted to acquire the professional yet very classy look.
. Removing Exterior Dirt: The same as other types of item you have at home, leather laptop bags also needs proper maintenance and care through proper cleaning processes. You don’t need to soak this kind of bag in soapy type of water or just water itself rather you need to make use of clean and dry cloth to remove all the dirt and debris outside. You can do this by means of gently wiping all the dirt inside.
. Leather Deodorization: Part of taking good care of your leather laptop bags is to make use of deodorizer that matches with the type of leather laptop bag you have in line with its color and quality. This deodorizer needs to be simply applied to the leather to make it shinier and impressive to look at. This would also give your leather laptop bag natural and amazing smell you’ve always wanted.
. Removing the Black Scuff Marks: To remove the black scuff marks in you leather laptop bags, all you have to do is to combine distilled water at about two cups with soft cleaning liquid soap at about three drops. Then, after mixing the two substances, you need to dip in a clean sponge into the solution. Once the sponge that you’re going to use is already submerged into this solution, you can now remove the black scuff marks by gently scrubbing it into the black scuff marks. Tap water is not recommended since it contained some harsh chemicals that may affect the quality of your leather laptop bag.
. Removing the White Scuff Marks: Removing white scuff marks can be done by using rubbing alcohol, eraser detergent as well as soft cloth. All you have to do is to pour small quantity of rubbing alcohol into the cloth that you’re going to use with a good combination of the eraser solution that you’ve chosen. After that, you may now start rubbing the white scuff marks using the solution until everything is completely cleaned. These are only some of the things you need to do on how to care for your leather laptop bags. There are still a lot more of these things you can do provided that this may not affect the quality, design, color, and style of your leather laptop bag. Related search: leather laptop bag, men’s leather laptop bag, leather laptop bags for men, women’s leather laptop bag, leather computer bag, leather laptop backpack, leather laptop messenger bag, leather laptop backpack, black leather laptop bag, brown leather laptop bag, full grain leather laptop bag, genuine leather laptop bag, handmade leather laptop bag, leather laptop briefcase, leather laptop bags online.